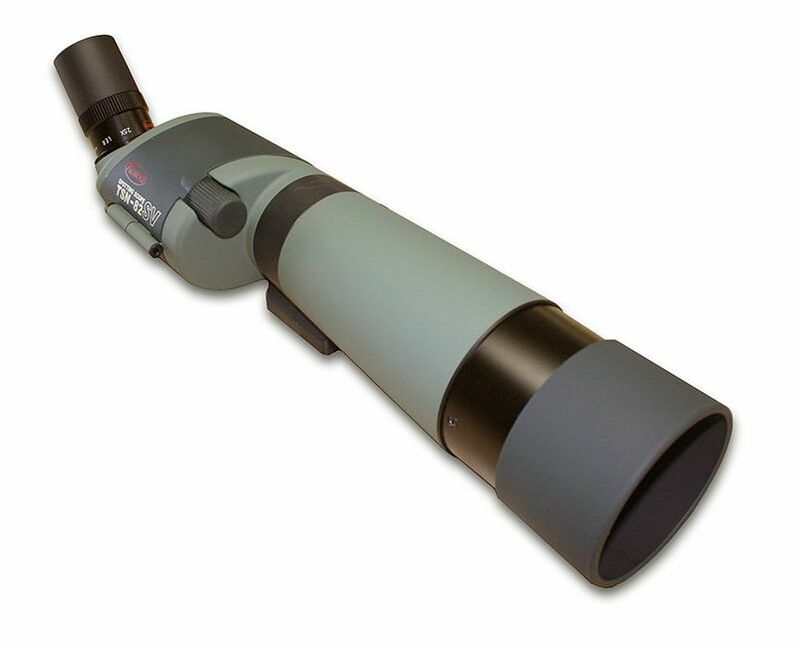 Kowa TSN-82V High Performance Spotting Scope: Outstanding light gathering power with 82mm objective lens and very bright field of view. All lenses prisms, and dustproof glass are fully multicoated, ensuring sharp images and a clear visual range. High quality scope for the shooter/spotter. Comes with the 25X long eye relief and a water resistant Courdura/Nylon case.